Saturday, October 6, 2018. 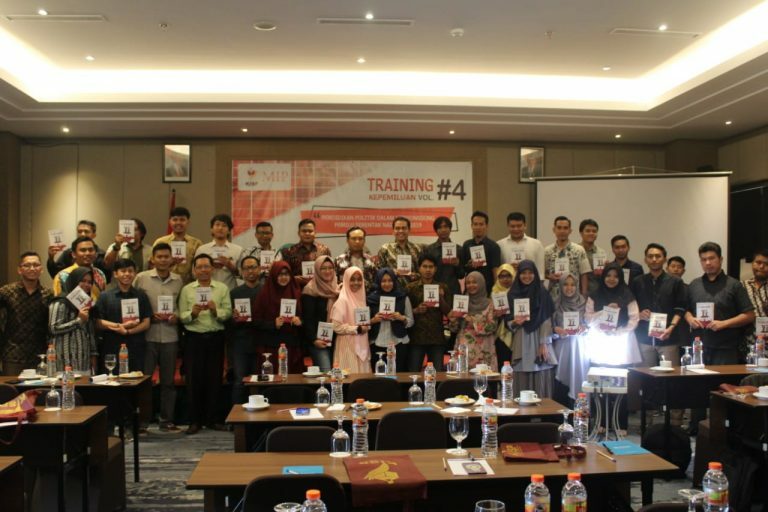 Master of Government Affairs and Administration UMY in collaboration with Independent Community “Komunitas Independen Sadar Pemilu (KISP)” held community service activities in the form Election Training with the theme “Political Education in Welcoming 2019 National Simultaneous Election” which took place at Forriz Hotel Yogyakarta. Participants consisted of parties directly involved as election organizers and election activists in Yogyakarta Special Province. The purpose of this election training is to provide electoral insights for election participants, especially regarding cases of electoral disputes that are only known by some people. Some of the speakers invited were Commissioner of the Central Information Commission Hendra J Kede, Chairman of the Indonesian General Election Commissions (KPU) for the 2008-2012 period Bambang Eka Cahya Widodo and Chairman of Bawaslu DIY Bagus Sarwono. Indonesian Central Information Commission Commissioner Hendra J Kede explain how political education is in the context of information disclosure. Including one of the KPU as a public body. In addition to the KPU, there are also other agencies including public bodies. “Article 28 F of the Constitution Amendment guarantees that the constitutional rights of citizens must not be prevented from accessing all documents of state institutions with open status. If it is difficult, please file a complaint to KIP, “he said.